I first heard the word gochujang when a trio of chefs opened their baskets to find a tub of it on an episode of Chopped. They all seemed familiar with the condiment, but I was not. I was intrigued — even more so when I learned it was a Korean chili paste of fermented soybeans and rice with a sweet and savory kick. 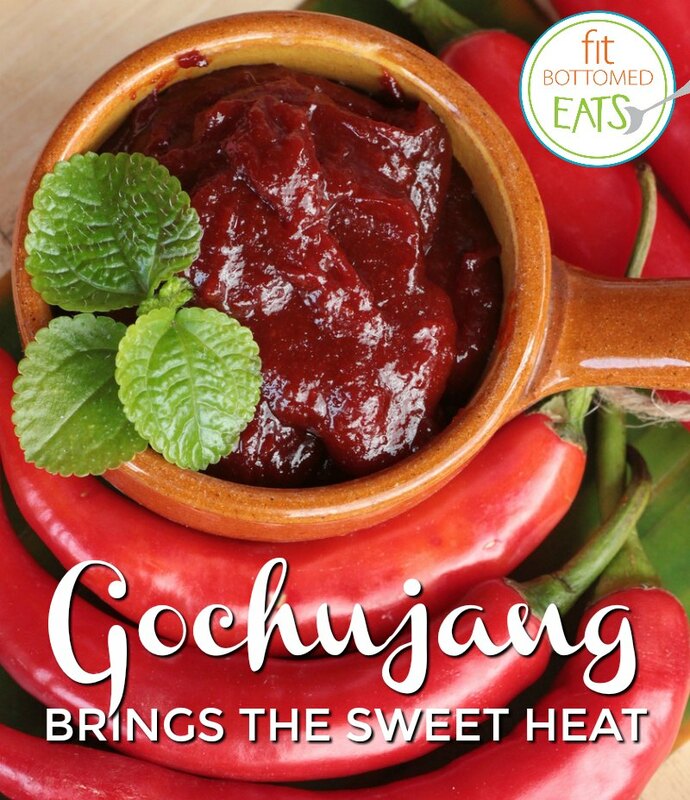 Fast-forward a few years and gochujang is finally set to hit Main Street America in a big way. Whole Foods introduced a limited-edition line of gochujang-spiked products — ketchup, mustard, marinade, barbecue sauce, hot sauce and even potato chips. So move over sriracha, there’s a new hotter hottie in town. Since the condiment is made with fermented soybeans, which gives it that distinctive umami flavor, you get a hint of probiotic goodness, as well as a metabolic lift from the capsaicin in the peppers. There’s a bit of sugar, but not enough to worry about given how much you’ll use. I picked up a bottle of the gochujang ketchup and a bottle of a slightly thinned-out version of the paste. In a quick taste test, I kinda like the gochujang better on its own — it’s thicker and has more depth of flavor. 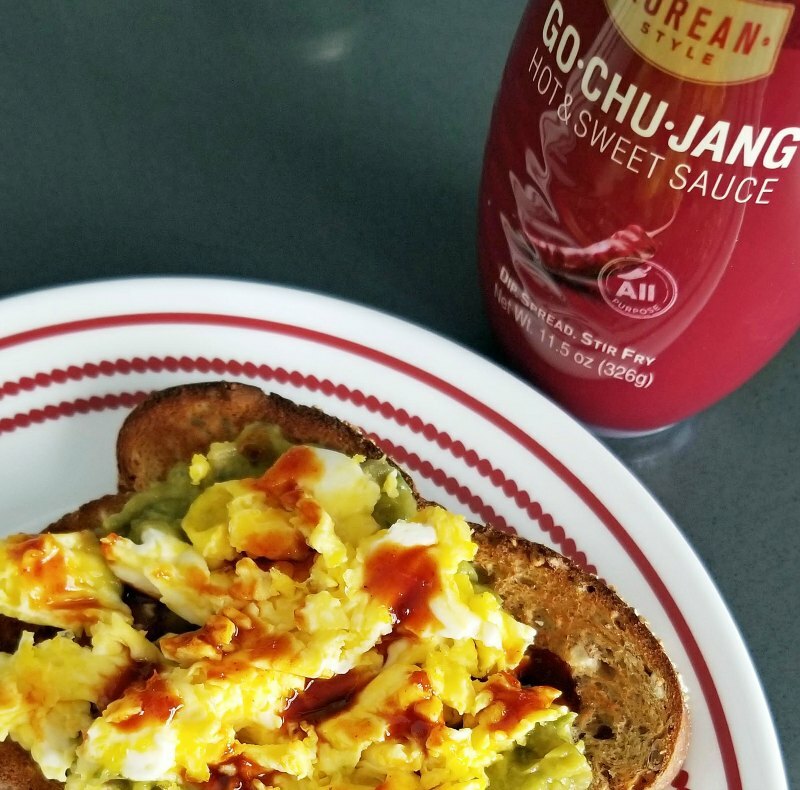 The gochujang really wakes up scrambled eggs. I made avocado toast topped with a scrambled egg and added little dabs of gochujang, which gave my breakfast a sweet bit of heat. Sometimes sriracha can be a bit too assertive, and gochujang is a little more mellow and complex. The gochujang ketchup will be fantastic on burgers or as a sidekick to a side of sweet potato fries. But what else can you do with gochujang? Here are some ideas. Korean sloppy joes: This was the first thing that popped into my head, and it seems I’m not alone. There are a few yummy-looking recipes out there, and here’s one to try. Spike your sauces: Equal parts mayonnaise (low fat, vegan or regular) and gochujang makes a great spread for a grilled chicken or roast beef sandwich. The same goes for barbecue sauce, ranch dressing and even salsa for a multiculti twist. Roasted winter squash: The sweetness of the paste marries well with the flavors of roasted butternut or acorn squash. Thin the paste with a little water and toss the mixture with chunks or slices of squash before roasting. Since gochujang has some sugar in it, make sure you toss the squash while it roasts to avoid burning. Mac and cheese: I only mention this because I did this for dinner last night. I took regular boxed mac and cheese, boiled the pasta, and added ½ cup of lowfat Greek yogurt and 2 tablespoons of gochujang to the powdered cheese packet. Add a sprinkle of scallions and you’ve seriously upgraded your mac.